I won’t give this much coverage, but witness this bunny solving pressing matters. Life got you down? Need something to get your mind of everything? 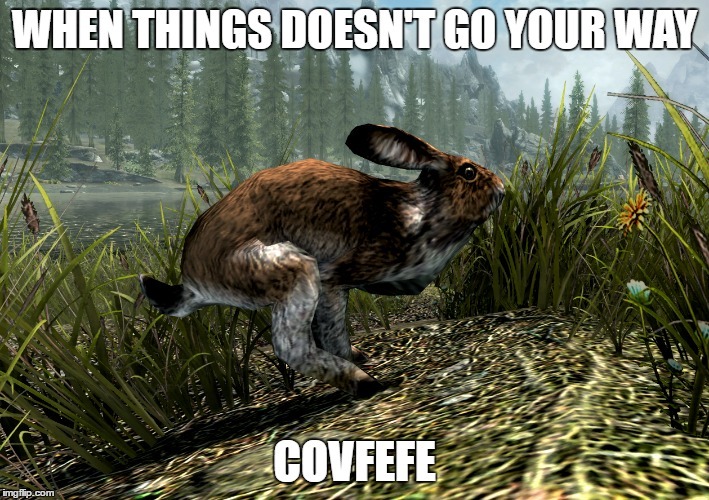 Covfefe. Roses are red. Violins aren’t blue. Random post, this is you.